﻿Are you a local dentist, medical doctor, surgeon, or other healthcare professional in West Salem? We would love to connect with you. Our goal is to create a network of healthcare providers in the area that are dedicated to preventive cardiology, biological risk assessment, and overall health and wellness. We're on the brink of something big here - a paradigm shift that could change the face of dentistry and healthcare as we know it. If we can bring like-minded, progressive doctors together to form a multi-disciplinary, comprehensive approach to preventive care, we can begin to make positive changes. We can only make so much progress as individuals, but together, we can begin to save lives. Please call us at ﻿(608) 786-0909 or fill out the form below to request an appointment. Are you a local dentist, medical doctor, surgeon, or other healthcare professional in West Salem? We, Doctor Network, would love to connect with you. Our goal is to create a network of healthcare providers in the area that are dedicated to preventive cardiology, biological risk assessment, and overall health and wellness. We’re on the brink of something big here – a paradigm shift that could change the face of dentistry and healthcare as we know it. If we can bring like-minded, progressive doctors together to form a multi-disciplinary, comprehensive approach to preventive care, we can begin to make positive changes. We can only make so much progress as individuals, but together, we can begin to save lives. Get in touch with Dr. Shih today. 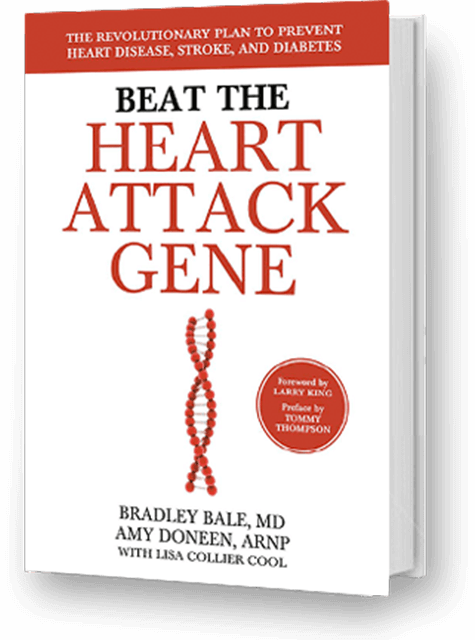 At a time in America when one in every three deaths is a result of cardiovascular disease, world-renowned cardiovascular specialists Bradley Bale, MD and Amy Doneen, ARNP have figured out how to beat the heart attack gene. This new model for understanding and preventing heart disease represents a paradigm shift in the medical and dental fields that helps patients better understand their unique risk factors. This book includes easy quizzes and self-tests, as well as education and strategies for lowering risk through nutritional and lifestyle changes. If you’re ready to lead the way in changing healthcare from “sick care” to preventive care, you’ve come to the right place! Contact your West Salem dentist, Dr. Priscilla Shih at Waterloo Heights today.